The weather this past weekend was absolutely perfect and beautiful. I left the house Saturday morning for a baby shower and as soon as I walked out the door, I decided we had to take the kids to do something fun later. It was just too beautiful of a day not to enjoy. We wanted to go somewhere that would take a few hours and had lots to do. We decided on the South Texas Corn Maze in a near by town called Hondo. It's about 45 minutes from where we live. The perfect amount of time to feel like you're getting a mini road trip, but not too long where the kids get too antsy in the car. 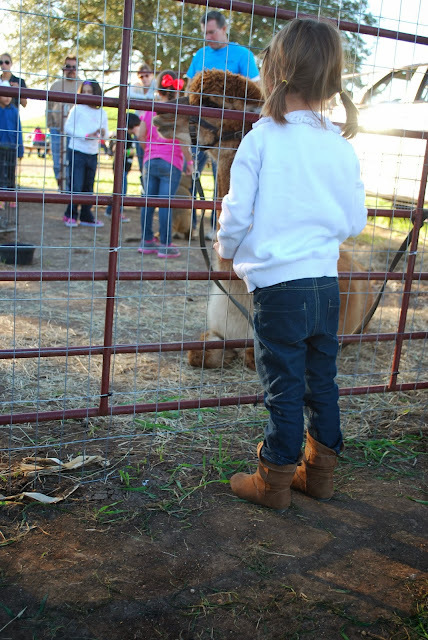 Aside from the huge corn maze, there is so much to do for the kids. A hay ride, animals to pet, a huge jumpy thing, hay bales to jump over, a large field of pumpkins, a tractor train ride, and Asher and Mia's favorite...the huge slide. You have to pay a little extra for this and we assumed Asher and Bella would love it, but it ended up being Asher and Mia who did. Bella is our "play it safe" girl, where as Mia is the little dare devil. It's funny because I still look at her like my little baby...my peanut. But she was so brave and kept right up with her big brother. They would come down together, then turn around and climb the hill to go again. Over and over. While Bella was perfectly content to hang and watch with mom and dad. Love all of their different personalities. We left the corn maze part for the end of the day and got some roasted corn and funnel cake right before. The sun was setting and it was absolutely beautiful. I am such a sucker for sunsets. I stopped to grab a picture of how beautiful this tree looked against the setting sun. It takes my breath away how beautiful God paints the sky for us each day. We didn't leave until well after dark. The kids had a blast and the girls were sawing logs before we even got out of the town. It was such a perfect family day. I'm so glad we were able to make it this year. And I even remembered to take my "real" camera to capture some of the moments from the day. Mia bonded with the llama. She said he was talking to her because he was making little noises. It was the perfect day. I'm so thankful for memories like this with our kiddos. As we were leaving Asher grabbed my hand and said "thank you mom and dad for today" Which then led Bella and Mia to chime in with the thank you's too. Melted my heart and made my cold, tired feet totally worth it. 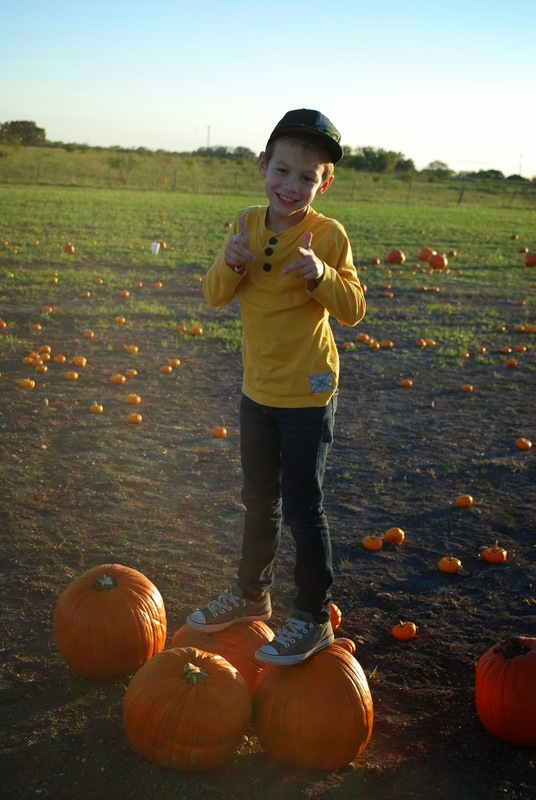 Have you made it to any pumpkin patches or corn mazes this year? AH! I love the Thank You at the end. So wonderful! Looks like FUN! I think we're going to try to go this weekend....seeing as next week is Halloween. This time is going WAY TOO FAST! It is SERIOUSLY flying by and I am not happy about it! I want these next couple of months to go sloowwwww. Looks like the sweetest time. I always drag my feet planning/doing things like this, but I'm always so thankful when we actually do them. Yes! Exactly my thoughts. I decided that day we were just going to go for it, and then we were so glad we did! So sweet! I went early this year... like at the end of September! I just couldn't wait! Wow, I like your fashionable kids :) :) Great spontaneous idea! haha thank you Manca! They definitely have minds and opinions of there own when it comes to fashion...already! This is so sweet! What fun to be able to enjoy the day with your kiddos! What a fun day! I love the pictures!